Seeing “Napa Valley Merlot” on a wine label may cause some snap judgements, but Clos du Val is making (and has been making) one of my favorite expressions of this grape. And not just a favorite Napa Valley Merlot, but a favorite Merlot, period. What are the myths about Merlot? Bland and boring. 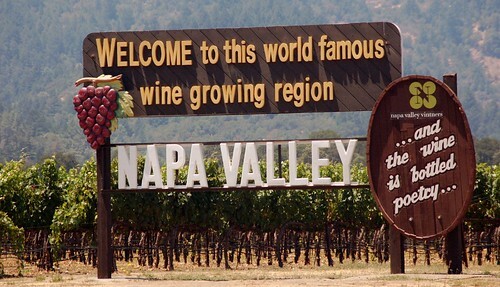 And what are the myths about Napa Valley? Supercharged, super-ripe wines bloated with alcohol as well as saturated in sweet vanilla flavors imparted by new oak barrel aging. 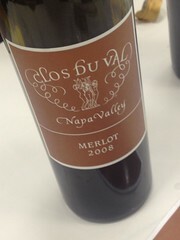 Well the Clos du Val Napa Valley Merlot is a stereotype-smasher. It is the definition of a wine that has “Old World” style. And by that I mean it recalls the classic European style characterized more finesse and elegance. 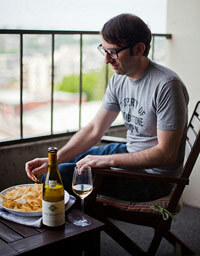 It’s my belief that we can all use more finesse and elegance in our lives and not just in our wine glasses. But it’s a good start. Napa sign image courtesy Donnaphoto. You have a gift to write. I’m very impressed with your blog. It was great to see you Sunday at the show. Best of luck to you in your writing. Great to see you too and I appreciate the kudos. Thanks for reading and commenting.